Seabourn Cruises offers cruises to and from Australia. See the full schedule below. 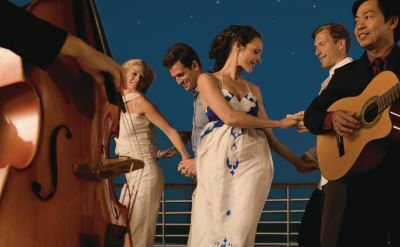 Seabourn is an ultra-luxury cruise line. The Seabourn Odyssey has 225 luxury suites, and 90 percent have private verandas. Features include the Sun Terrace, Observation Bar, Sky Bar, Spa, Colonnade dining venue, Pool Patio, Seabourn Square, shops, Grand Salon, casino, and The Marina watersports. 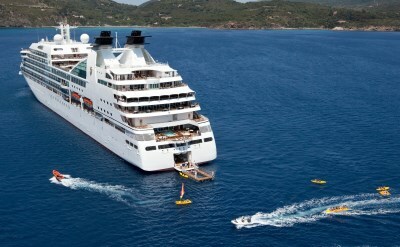 See a Seabourn Odyssey cruise review. 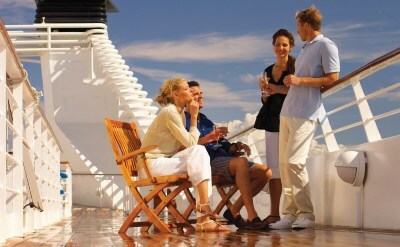 16-day Coral Coast cruise on Seabourn Encore. One-way from Sydney (Australia) to Benoa (Bali). Visit Brisbane (Australia), Moreton Island (Australia), Hamilton Island (Australia), Townsville (Australia), Cairns (Australia), Dili (East Timor), Komodo Island (Indonesia) and Senggigi (Indonesia). • 2019 departure: March 27. 14-day Southern Australia cruise on Seabourn Encore. Round-trip from Sydney (Australia) to Bateman's Bay (Australia), Hobart (Tasmania), Portland (Australia), Penneshaw (Australia), Adelaide (Australia), Phillip Island (Australia), Melbourne (Australia) and Eden (Australia). 30-day Transpacific cruise to California on Seabourn Sojourn. One-way from Sydney (Australia) to San Francisco (California). Visit Noumea (New Caledonia), Kuto (New Caledonia), Suva, Savusavu, Samoa, Pago Pago, Fanning Island, Kona (Hawaii), Honolulu (Hawaii) and Lanai (Hawaii). • 2020 departure: April 29.